Mr. Chatterjee gave presentation sometimes using his fluent Japanese. 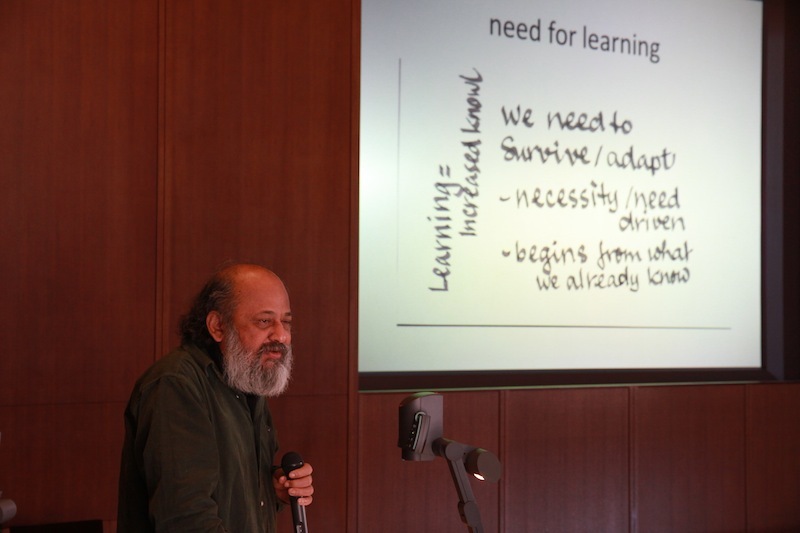 January 27th, 2013, International Symposium \”Challenges and Possibilities of Place Based Education\” was held in Tokyo. About 70 People involved in Outdoor Education, Environmental Education, Academic field, Students gathered and made discussion. 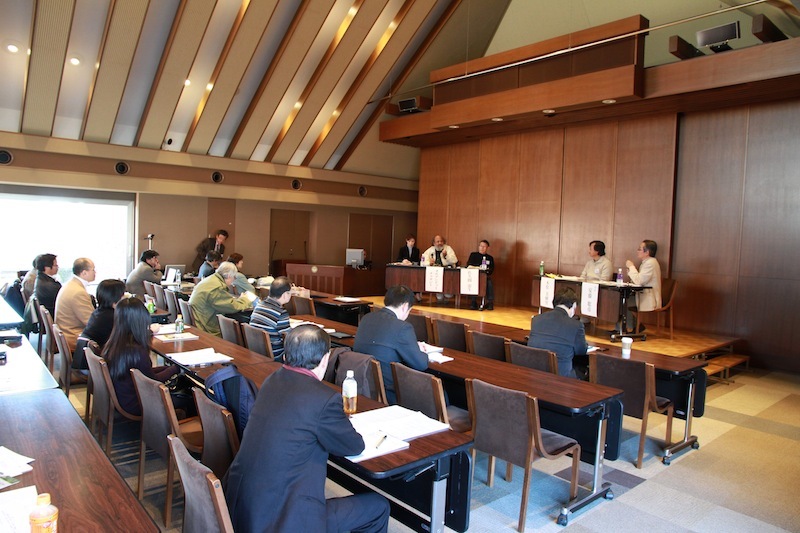 January 27th, 2013, About 70 people gathered in Rikkyo University (Tokyo) and made a constructive discussion about \”Place-Based Education\”. In panel discussion section, many participants including students raise questions. In Keynote Lecture, our special guest Mr. Ardhendu Chatterjee gave a presentation about current Indian Educational situation, Importance of education in regional society especially Agricultural aspect. Next, Takako TAKANO, chair of Ecoplus, presented 2-year-project status and introduced the result of questionair which were gatherd from schools and educational organization all over Japan. In Case Report Section in the afternoon, Mr. Hasegawa (Suyama Junior High School, Shizuoka), Mr. Inoue (Kodomo-en \”Mego-Tama\”, Kanagawa), Mr.Sakamoto (Nome Nature/Environment Educational Office, Katsuyama, Fukui) made presenataions about their daily work. Lastly in Panel Discussion Section, Mr. Chatterjee and PBE committee members sit on the stage and discussed with audience for more than two hours. Some young generation audience asked about a mind concern Environment and Sustainable Society, definition of Region. Ecoplus will make a report on this symposium. Please contact info@ecoplus.jp for distribution. Also, The Symposium is uploaded in Ustream.